When choosing a mantel to your fireplace, it may be difficult to decide on the type of mantel you would like. If you prefer furniture that is more comfortable or up-to-date, you might prefer to choose a fireplace mantel with a more contemporary design or feel. Contemporary fireplace mantels offer smooth lines so that the material used in construction of the mantel is what shines through. Mantels with a more contemporary styling place focus on natural looking materials that are more likely to blend into the surroundings rather than stand out, as is the case with more formal fireplace mantels. If you do not wish your mantel to draw the focus away from the rest of the room, contemporary styling may be the best option. Also, if you like to redesign your rooms on a regular basis, a fireplace mantel with a contemporary look goes well with nearly any interior design option, so there is no need to replace the mantel every time you update your room’s design. Rustic fireplace mantels are another way to achieve a contemporary look. This style of mantel creates warmth and depth to the room without overpowering or detracting from the comfort and style of the furnishings within the room. 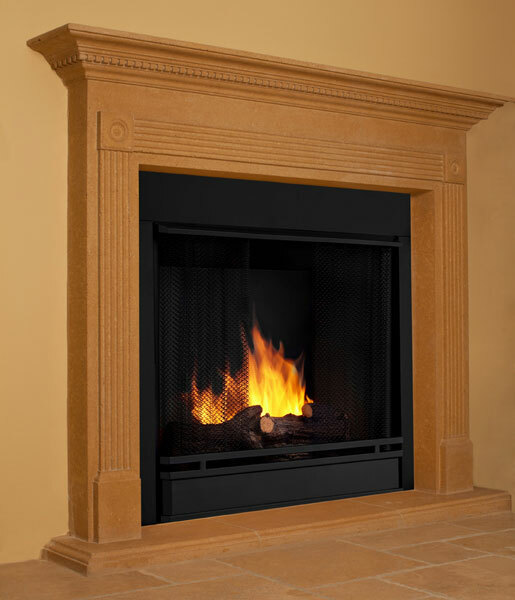 SoCal Fireplace Mantels offers a large selection of mantels in many different contemporary styles. Choose from a variety of colors, designs, and materials for an updated yet comfortable look. Custom fireplace mantel options can also be designed to meet your specific needs.